The “MIDNITE” NITEHAWK SHORTS FESTIVAL program highlights exceptional short-form filmmaking in the horror genre from the 2017 festival at Nitehawk Cinema. More than ever before, the agility of short filmmaking allows filmmakers to address the increasingly unstable world in a remarkably relatable way. Co-programmed by Sam Zimmerman (Curator, Shudder) and Caryn Coleman (Director of Programming, Nitehawk Cinema) these poignant and fun short films represent the very best of new horror voices. Featured in “MIDNITE” NITEHAWK SHORTS FESTIVAL: ELEGY (directed by CJ Gardella), UNDRESS ME (directed by Amelia Moses), THE MUSIC LESSON (directed by Adam R. Brown & Kyle I. Kelley), VORE (directed by Lauren Erwin), THE CALL GIRLS (directed by Juice), YOUR DATE IS HERE (directed by Todd Spence & Zak White), CRESWICK (directed by Natalie Erika James). 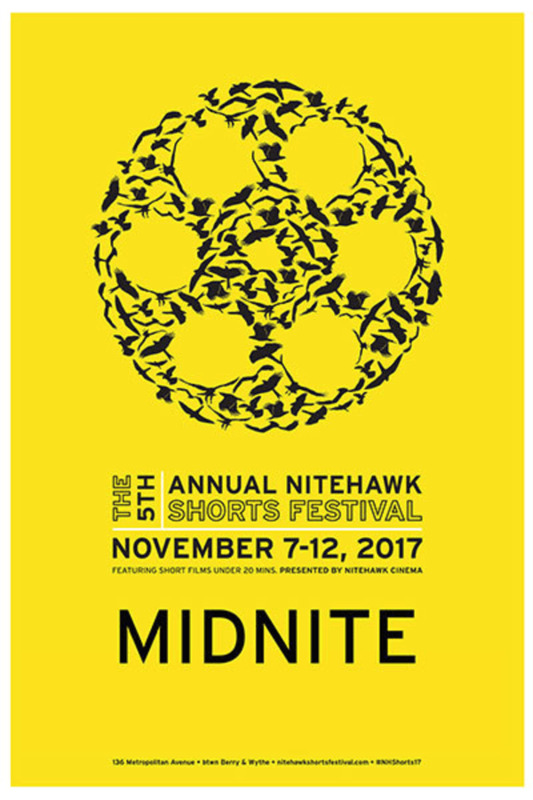 The BEST OF NITEHAWK SHORTS FESTIVAL highlights exceptional short-form filmmakinThe “MIDNITE” NITEHAWK SHORTS FESTIVAL program highlights exceptional short-form filmmaking in the horror genre from the 2017 festival at Nitehawk Cinema. I like anthology collections, so I tend to cut them a little more slack, even in cases where I liked less than half of the content. They can't all be DEAD OF NIGHT after all. ELEGY (directed by CJ Gardella) (20 min) - depicts a situation, rather than telling a story. Two individuals move about a house and grounds, observing the inhabitants, some of which are alive. I recommend reading the summary on IMDB before watching the first short...it is the least straightforward of the seven works, yet occupies 20% of the runtime of the assembled collection. UNDRESS ME (directed by Amelia Moses) (14 min) - about the unsatisfactory results of a hookup at a college party. Probably has some deeper significance which I could not immediately discern.) THE MUSIC LESSON (directed by Adam R. Brown & Kyle I. Kelley) (9 min) - another vignette that depicts a situation, more than telling a story. Would have made a good short episode of Night Gallery. Kaylin Hedges as the little girl, is outstanding. VORE (directed by Lauren Erwin) (13 min) - Another situation that never quite develops into a plot. Intended as erotica, I gather. Both actors were adequate yet did not register the necessary passion to make the situation seem genuine. THE CALL GIRLS (directed by Justin Staley) (11 min) - An amusing music video. YOUR DATE IS HERE (directed by Todd Spence & Zak White) (7 min) - Another one that would have been perfect on Night Gallery, decades ago. I loved it. The little girl played by Dani Tiernan is particularly convincing. CRESWICK (directed by Natalie Erika James) (10 min) - Well-chosen a the final piece...not only would this have fit right in with the Night Gallery TV anthology, but it is actually scary! Well done! Movies are well done, but trying to be too artsy and complicated. Most just didn't seem like horror. Some of the best horror is just simple and reality.